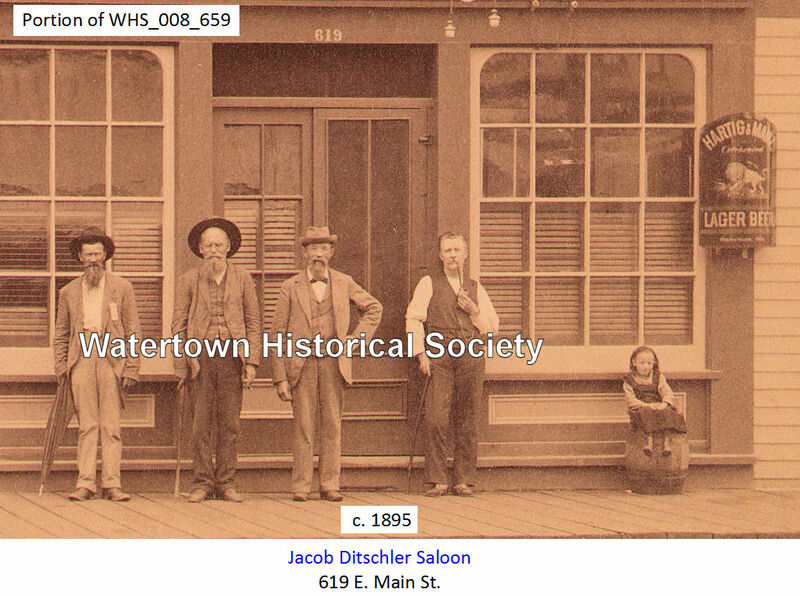 Jacob Ditschler, proprietor of saloon; born in Germany June 21, 1845. Engaged in cigarmaking until the fall of 1878, when he engaged in saloon business. 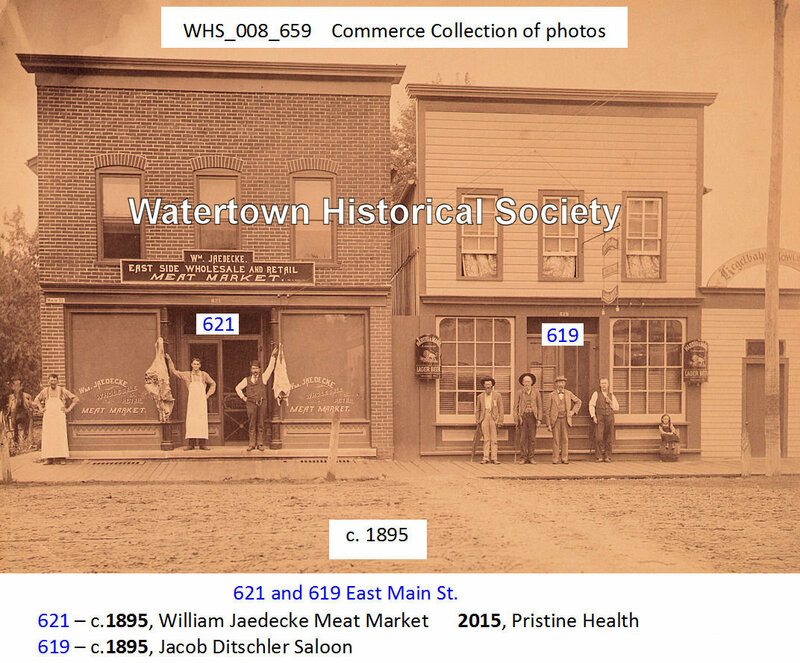 Oct. 8, 1861, he enlisted in Co. B, 1st Wisconsin Mounted Infantry; he served as Corporal; was in all engagements his regiment participated in; served three years. He was married, May 26, 1870, to Augusta Schmidt; she was born in Prussia; they have four children – Anton, Clara, Edward and Ferdinand. Mr. Ditschler is a member of the Concordia Musical Society, also of the Harugari. Buried in Oak Hill Cemetery.